This is the official website of the Society of Saint Pius X, where readers will find the most current information on the activity of the SSPX throughout the world, current events with the ecclesial world and much more. This is a link to the website of the Society of St Pius X in Australia to which New Zealand belongs. The site outlines activities in Australia and also provides useful details of Mass Centres throughout the country. 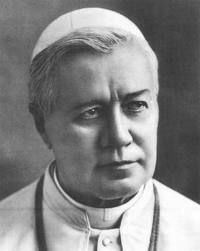 This is the website for the Society of St Pius X in The United States of America. It’s a comprehensive site, full of interesting articles and material on current events from around the world. The weekly newsletters are particularly interesting and you are able to subscribe to the weekly newsletter service by logging on to the site and completing an on-line form. Ignatius Press offers an enormous collection of good Catholic books, videos, DVD’s, music magazines and much on the web. Ignatius Press have regular specials on a variety of products – click here to review today’s bargains. This is the link to Angelus Press. There’s a great collection of good Catholic books, videos, DVD’s here as well – including many special offers. This is the Official Vatican Website. 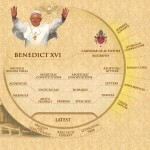 The site is very comprehensive and contains everything you would likely ever need to know about the Vatican. This is a link to the website of the Society of St Pius X in the Asia region – which SSPX New Zealand was part of. The site outlines activities in the region and also provides useful details of Mass Centres throughout the region. For French speakers, this is a link to the official website of the Society of St. Pius X in France. This is a live webcam of the Basilica of Lourdes, France. This is one of the great Catholic pilgrimages. This is a useful site that provides details on SSPX Mass centers globally. Choose the district you want to visit and then click on the respective district website to obtain up-to-date information and locations of SSPX Mass centers. The Fatima Center is dedicated to spread the message of Our Lady of Fatima. Based in Fort Eerie, Canada the center has a comprehensive website of information, instruction books including The Crusader (Our Lady of Fatima’s Quarterly Magazine), an on-line interactive Rosary, videos and an on-line television network. Visit the Fatima Center’s Fatima Network and Our Lady On-Line for more information, current news and announcements nationally and internationally. Click here for Fatima on Demand with Fr Gruner. Click here for The New Zealand Fatima Network site. The Dominican Sisters of Wanganui can trace their ancestry back to St Dominic’s 1206 foundation at Prouille. A convent at Galway in Ireland was founded in 1640 from Prouille. This convent founded other convents including Cabra in Dublin. From Cabra a convent was founded at Sion Hill, also in Dublin, and from Sion Hill ten Sisters came to Dunedin in 1871 to found Dominican Convents in New Zealand. In 1997 a New Zealand Dominican Sister came to Wanganui to teach in the schools run by the Society of St Pius X.